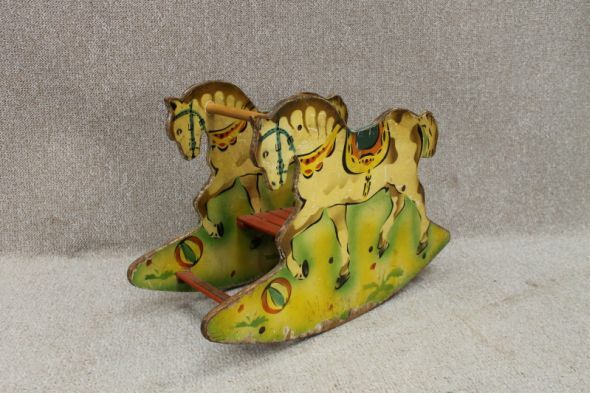 An original 1930s child's rocking chair or rocking horse. The chair is constructed using solid timber, and has been hand painted. We believe all the paintwork to be original and done in the 1930s. An extremely unusual yet classic piece of furniture for any home interior.